The design of these unique balls comes from the archives of the old Erick Brand Company. They were called Wendel Scientific Dent Balls. The shape of the balls resembles an old fashioned beehive or dome. The tip is not round or oval, the shape is a combination of curves that makes dents push up easily but also leaves a flat area at the back of the ball for dent hammer work. The balls will screw onto N31, N32, N33, N34, N67, N69 and N74 dent rods. There are 6 balls in the set. The diameters are 1 inch, 1-1/4 inch, 1-1/2 inch, 2 inch, 2-1/2 inch, and 3inch. These balls will work on Saxophones, French Horns, Trombones, Baritones and Basses. They are made from high quality steel with a satin finish. 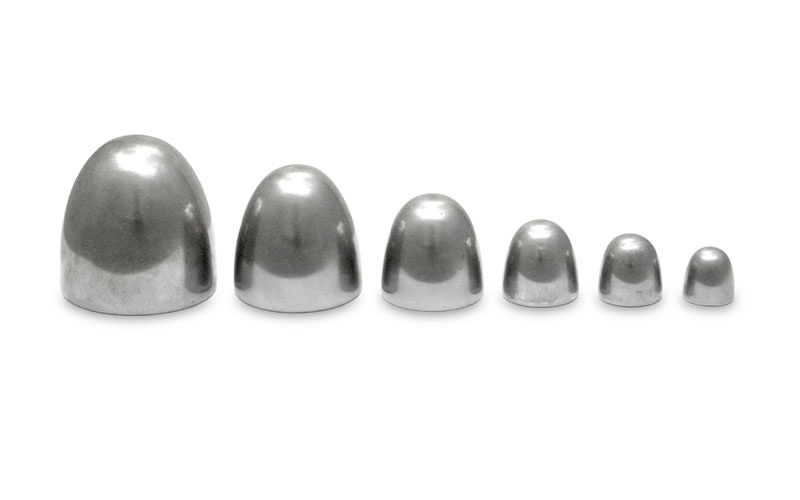 Set of 6 different sizes. Compatible with large mandrel threads. Polished finish for smooth results.